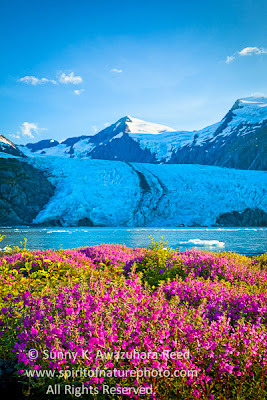 Portage Glacier, located within Chugach National Forest southeast of Anchorage, is one of the most popular tourist attractions. 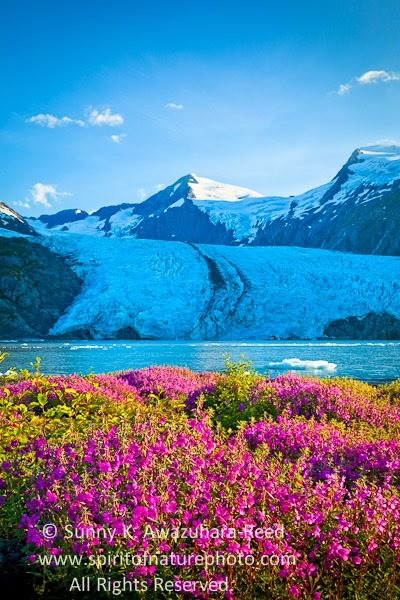 However, the glacier has rapidly receded during the past century; the glacier face can hardly be seen from the highway or visitor center. 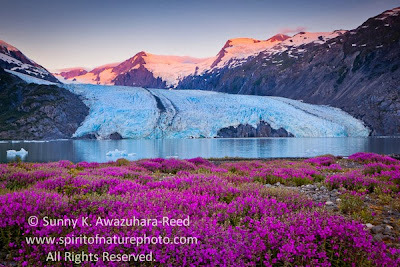 On a gorgeous summer day in July, I hiked 4 miles each way through a mountain pass to reach the current glacier face to view and photograph up close. 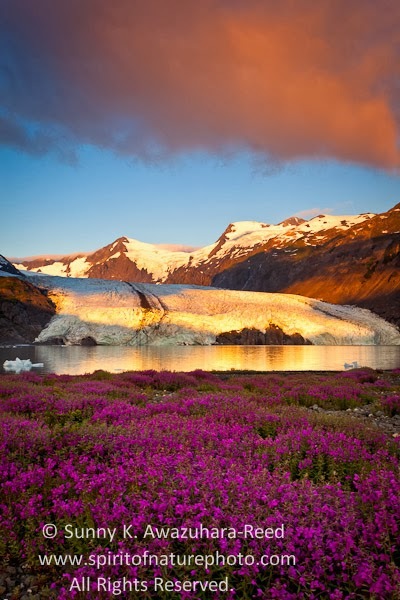 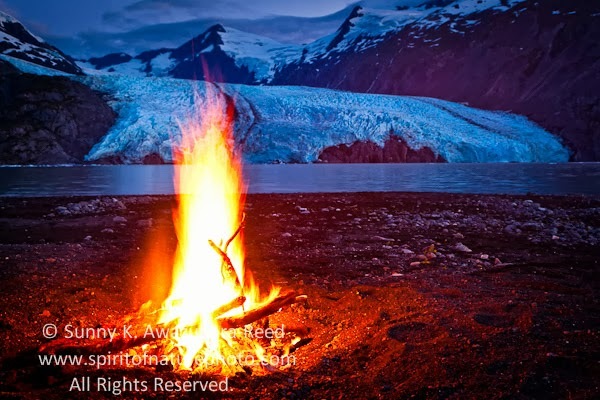 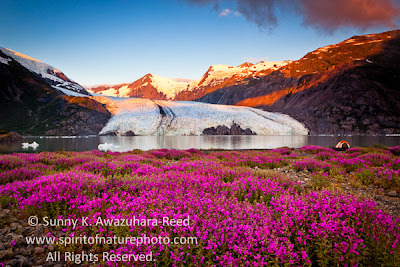 I camped in front of the glacier where a natural Fireweed garden was blooming in vivid pink, decorating the valley. 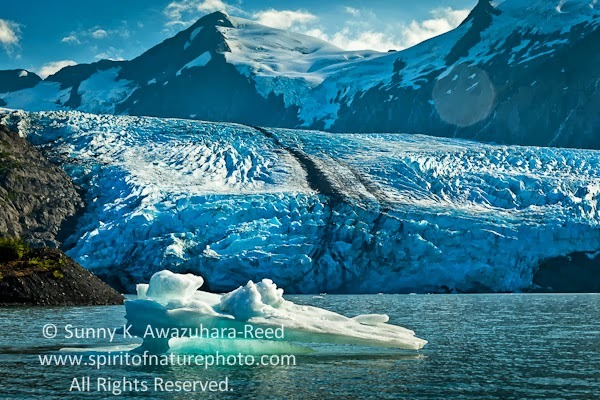 The glacier and glacial lake were right in front of us under a perfect clear sky. The glacier was actively calving and creating new icebergs with roaring thunder. 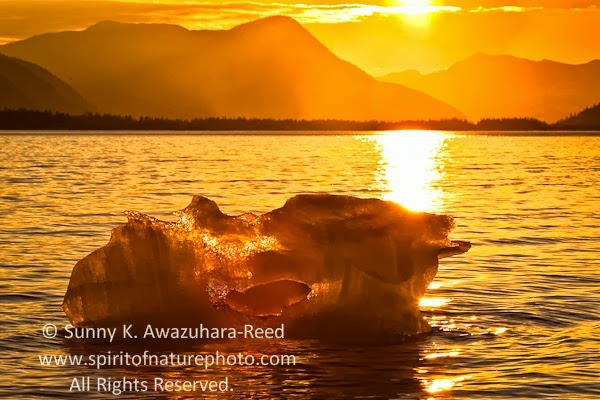 During the long sunset, ice bergs glistened in golden orange. 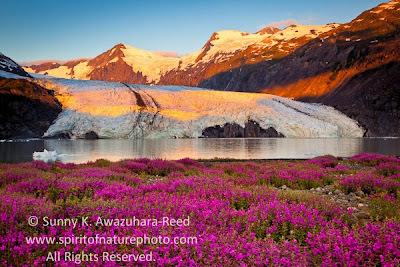 In the northern latitude, sunset takes a long time, nearly one hour of the magic light - a photographer's dream. Here is the campfire in twilight. At sunrise, the rose colored light glows on the mountain peaks above the glacier. 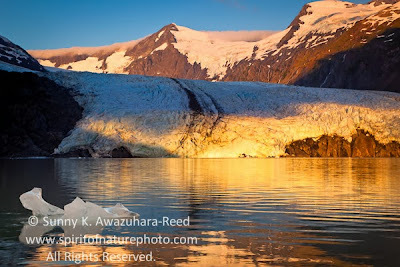 The light slowly shifted down to the glacier. 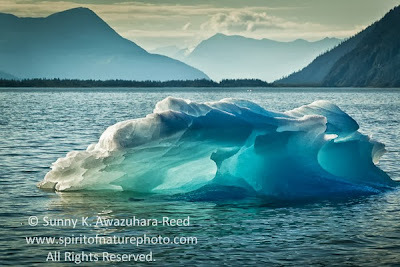 Glacier shined in the warm morning sun. 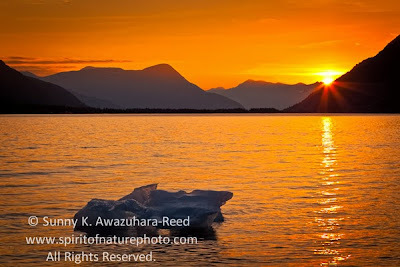 Sunrise in nature is always a spiritual moment for me.